Being a mom is such a rewarding experience. Whether or not a mom stays at home or works outside the home she is working hard throughout the day. By the time mid afternoon comes around or possibly even sooner most moms are in need of a quick energy boost to help them get through the remainder of the day. 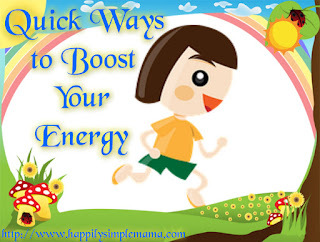 So how can moms get that quick boost of energy without taking too much time and effort. 1. Drink water. If our bodies are dehydrated our energy levels will go down. Try and ensure that each time you have a glass of water that it is a full glass. 2. Take a short cool shower. If you are unable to shower then splash some cool water over your face a few times. Cool water stimulates circulation and metabolism resulting in more wakefulness. 3. Have a power snooze. The best way to do this is to sit down rather than lay down since you only want to sleep for a maximum of 10 minutes. Any longer than 10 minutes and you will end up into a deep sleep. 4. Eat some protein enriched foods. Good choices include nuts, peanut butter, cold cuts, cheese, or yogurt and fruit smoothies. 5. Sit and enjoy a cup of coffee. Frequently we hear how bad it is to drink coffee or other caffeinated drinks. However one cup of coffee can actually give a great energy boost when needed. 6. Eat fresh fruit or fresh berries. Both contain high amounts of antioxidants and will help rid fatigue. 7. Smell some citrus fruit. 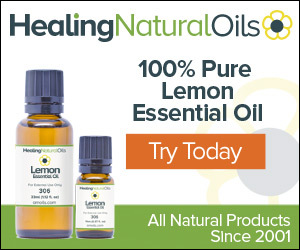 Citrus scents such as lemon, lime, and orange stimulate alertness. 8. Laugh. If you have to turn on Youtube and choose some short funny clips to watch. 9. Get out in the sun and walk for at least 10 minutes. The change of scenery and movement will give you motivation and help brighten your mood. 10. Socialize. Either sit with some friends and enjoy a few minutes of chatting or get on social media and make contact with a friend or family member. 11. Nibble on some chocolate. Dark chocolate especially as it contains more caffeine and is also beneficial for your health. 12. Make some no-bake energy bites. These are very quick and easy to make. Store them in the fridge or freezer and whenever you feel a drop in energy levels then pop one into your mouth. suggests: Add a handful of almonds, hazelnuts or cashews to your daily diet. Increase your intake of whole grains, particularly bran cereal. Eat more fish, especially halibut. When your energy level falls into the red zone, you probably reach for our culture's quick fix: caffeine.